It is possible that you anticipated the ADHD diagnosis when you decided to move forward with an assessment. You may have noticed your child’s difficulty paying attention to directions, troubles completing homework, forgetfulness, and struggle organizing belongings. Your child’s teacher may have also noticed similar problems in class for some time. However, the ADHD diagnosis may have been a surprise and left you feeling alarmed. In any case, and we need time and mental space to understand what ADHD means for our child’s life. You may have several questions. What to do next? Whom to tell about it? How to get support? What does ADHD mean for your parenting, your child’s school and friendships? While you are looking for the answers, try to remember that the diagnosis of ADHD does not change who your child is, it just may change your understanding of your child’s behaviour. The diagnosis ends the uncertainty about why your child has been struggling so much at home and at school. It gives you more clarity as to how to support your child’s learning and healthy friendships, and how to strengthen your own relationship. How to talk about ADHD with my child? First of all, it is crucial to let your child know that ADHD is not a disease or mental illness. It also does not mean that he or she is not smart. It means rather that your child has a free and creative mind that needs to be assisted in learning in its own way. Now you can move forward and find strategies that work better for your child and your whole family. Whom to tell about my child’s ADHD diagnosis? The formal diagnosis of ADHD can help you advocate on behalf of your child more efficiently and access supports at school and later in post-secondary education. If your child was assessed and diagnosed by a psychologist, you can ask for help in sharing the findings with school officials. You can also talk with your psychologist about providing an abbreviated version of the report, if the assessment included multiple additional topics and findings. Do not hesitate to ask the professional who diagnosed your child about various treatment options and ways of supporting your child at home, at school and with friends. You can involve your child when choosing who and how you are going to tell about the diagnosis. It may be especially important if you have a teenager. Working together with a psychologist or a counsellor you can help your child fully understand what the diagnosis means and find ways of taking about his/her diagnosis with friends and family. The more practice your child gets at talking about ADHD, the more neutral and easy these conversations will become for him/her. It may be helpful to prepare your family members for your child’s sharing, so that they can model a casual and supportive attitude. Where to get help for my child? 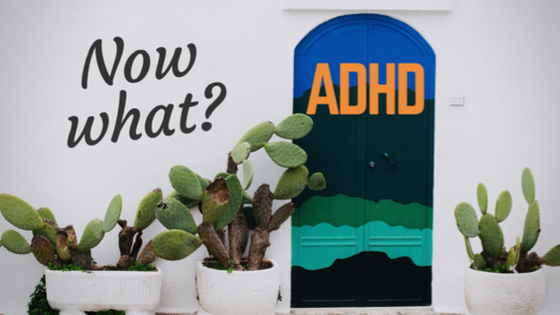 Now that you know it is ADHD, you can tap into a wealth of focused resources in your community and online. It is important to seek professional support from a psychiatrist and a psychologist. It can also be beneficial to explore the ADHD coaching option. Take time to understand the educational background and experience of professionals you are planning to work with. There is a number of registered psychologists and social workers, as well as certified counsellors in Saskatoon who offer private services in this area. You can also explore free counselling and additional support for your child through Child and Youth Mental Health Services, Saskatchewan Health Authority. Additionally, the Learning Disabilities Association of Saskatchewan offers focused programs and services beneficial for managing ADHD. Regarding online resources, the Canadian ADHD Resource Alliance website is a good source of reliable information on ADHD. The Centre for ADHD/ADD Advocacy is a national non-profit organization providing education and advocacy for individuals with ADHD across Canada. Alternatively, the ADDitude magazine website offers many resources on daily life topics and has webinars with some of the top researchers and authors in the field of ADHD.